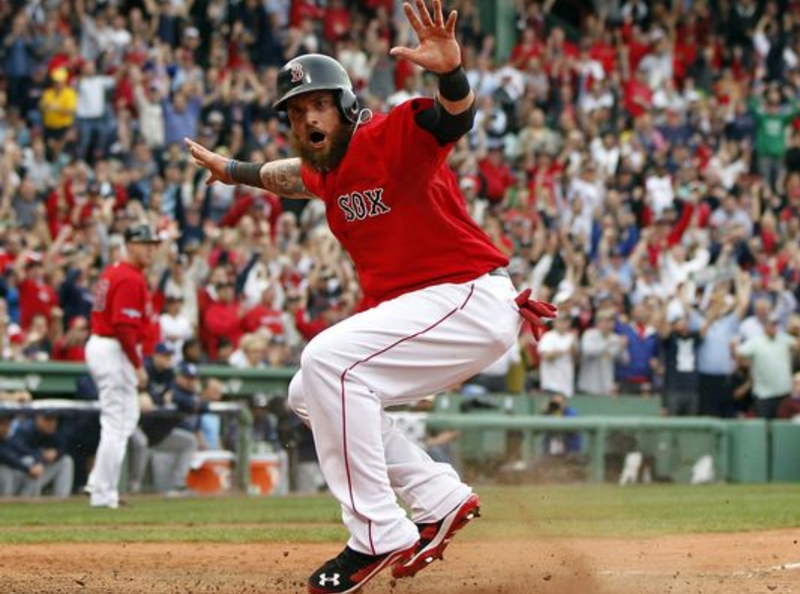 The 2014 Red Sox Season is Over: Where Do They Go From Here? To say the 2014 Boston Red Sox were a disappointment would be an understatement. They finished with a record of 71-91, 25 games back of the first place Baltimore Orioles. For those of you not familiar with baseball, that’s very bad. The season was pretty much over in late July, as the Sox traded away their number 1 and 2 starters, along with a slew of other players to start building towards next year. The final three months of the season turned into a glorified spring training session, with countless farm players getting their chance to prove why they deserved to be looked at as a permanent roster option for John Farrell in 2015. Looking at their lineup from yesterdays season finale, it’s easy to see how far the 2013 World Series champions had fallen. Cecchini, Brentz, Weeks; not exactly household names, yet all three of them started for the Sox against their fellow hopeless rivals, the Yankees. Now that the season is over, most of New England will turn their attention to football, hockey and basketball in hopes of experiencing something other than torture and disappointment. Just as the winter of 2012 was a key time for the Red Sox organization, so will the winter of 2014. The Red Sox have had a loaded farm system for a number of years, and with two of the last three years being wash outs, the young stars of the future have finally started to emerge, with mixed results. The Good: Brock Holt, Mookie Betts, Anthony Ranaudo, Tommy Layne, Christian Vasquez, Rusney Castillo. These six were far and away the best of the Sox rookies to come up in 2014, even though Castillo had a limited number of at bats. Going into 2015, the Sox greatest strength may be it’s outfield depth, as Victorino, Castillo, Cespedes, Betts, Nava, Holt, and Bradley will be competing for the three outfield spots. My bet is for Cespedes, Castillo and Victorino to start the season in the outfield, with Betts and Nava serving as the backups if/when Victorino gets hurt again or Castillo struggles. Holt should move into the starting third base spot and the Sox should cut their losses with perennial strikeout king Will Middlebrooks. As far as the rest of the studs from 2014, Vasquez will be Boston’s starting catcher in 2015, and Anthony Ranaudo and Tommy Layne showed me enough to warrant a spot in the starting rotation/bullpen for next year. The Bad: Xander Boegarts, Jackie Bradley Jr., Brandon Workman. Boegarts and Bradley Jr. were especially disappointing this year, considering how much hype each had at AAA, and with Boegarts success last fall. JBJ is a gold glove outfielder with a cannon for an arm, but he had almost as many strikeouts (121) as games played (127). Add in the fact that he hit .198 over those 127 games played, and he’s probably going to be one of the odd men out next year. Boegarts may still be the chosen one, and he is only 21 years old, but he hit only .240 this season with an on base percentage of .297. Those numbers just won’t work for a Sox team that desperately needs a consistent every day shortstop. I expect him to be the starting shortstop in 2015, but if he struggles again early on, don’t be surprised if the Sox start exploring other options. Workman also seemed to regress, as he ended the year with a record of 1-10 and 5.17 ERA. Depending on what the Sox do in the off season, Workman might have pitched his way out of a spot in the starting rotation. Rubby De La Rosa, on the other hand, started the same amount of games as Workman (19) but threw 14 more innings and had an ERA .74 lower than Workman. If I were a betting man, I’d bet on De La Rosa getting a bigger shot in 2015. Will the Sox bounce back like they did in 2013 and contend (or win) another World Series title, or will they become a mainstay in the land of mediocrity? Only time will tell, and this off season is just as important as the one going into that 2013 season. The front office says they are ready to spend money, but that money must be spent wisely. The recipe for success over the last decade has been to mix farm system youth with smart, team friendly acquisitions. The youth is there, and hopefully whoever Ben Cherington brings in will bring a winning team back to Boston. Posted on September 29, 2014, in Average Blog Posts and tagged Boston Red Sox, MLB, mookie betts, rusney castillo, xander boegarts. Bookmark the permalink. Leave a comment.